Angelina's world is shattered when Lorenzo Ricci walks into her engagement party to tell her that she's still married to him! Lorenzo will use financial and sensual means to reclaim his wayward wife. Can they survive their tempestuous reunion unscathed? Zara Falconer's wedding to Tomas Gallo set her free, but an accident wiped Tomas's memory before he could annul their vows. When she discovers this tortured man is still her husband, she has to ask—will their passion bring back Tomas's memories? 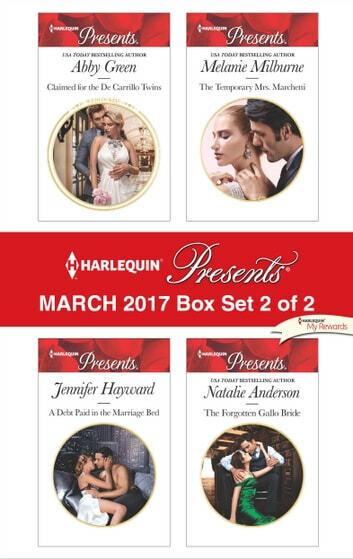 Be sure to collect Harlequin® Presents' March 2017 Box Set 1 of 2!